In the Round 8 of the EuroCup, València won against Partizan, 61 – 69, in the Group C as a guest in the “Aleksandar Nikolić” Sports Hall (also known as Pionir). Both teams had ups and downs during the game, but, at the end, the experienced ACB team celebrated in a full Pionir. They are now the first in the group with 6 victories and 2 losses, while Andrea Trinchieri’s squad is at the last position with 2 wins and 6 losses. There are two rounds left in the group competition and while València will pass the group, Partizan has only little chance to do so. The best in the winning squad was Sam Van Rossom with 20 points, 5 rebounds and 5 assists, while Bojan Dubljević had 12 points and 12 rebounds (8 defensive and 4 offensive). Will Thomas ended the game with 11 points for València. In Partizan, only two players had double-digit score. Vanja Marinković finished the match with 15, while his teammate Jock Landale added one point less (14). València started furiously and in the first 4 minutes was leading by 9 points (4 – 13). The Players from Partizan couldn’t score. The Home team woke up in the second part of the first quarter and got close to the guests (16 – 19 two minutes before the end). The Final score in the first 10 minutes was 18 – 22 for the ACB team. In the second quarter, The Black and Whites were grabbing their chance and after about 5 minutes of that part, managed to even the score (28 – 28), and after that also took the lead (30 – 28). In that period, València was loosing the rhythm. But the guests took the lead again and two minutes before the end of the half the result was 30 – 31. And Dubljević scored for three, but then Janković blocked San Emeterio’s dunk, and on the other side Zagorac scored for two. And Rade did it again for 34 – 34. The final result after that part was 36 – 34 for the home squad after Janković was perfect from free throw line (2 of 2). 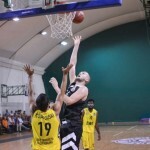 After the first 20 minutes, the best scorer was Bojan Dubljević, from València, with 9 points (Montenegrin Power forward – Center), while in Partizan Jock Landale scored 8 and Đorđe Gagić, 7. The Third quarter belonged to the guests all thanks to Van Rossom’s great roll. The Belgium player was scoring impossible shots. The Score after that part was 48 – 52. 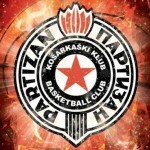 But in the beginning of the last quarter Partizan turned around the game and after two minutes was leading 55 – 52. And, again, the ACB team got back in the match. After 6 minutes of play, València was leading by 7 (57 – 64). They allowed the home team to score only two points in that part of the quarter. 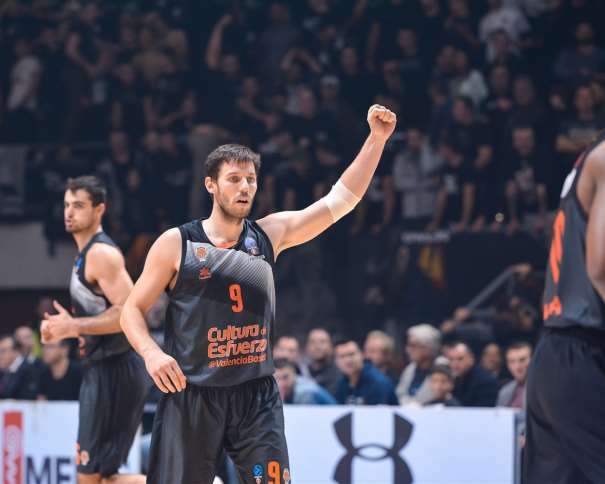 The Black and Whites were attacking and trying to get back in the game, but the ACB team didn’t allow the surprise and after their first visit they celebrated 61 – 69. After the match, Bojan Dubljević, from València, was talking about the game, the atmosphere in Pionir and the goals of his squad. “We want to play in EuroLeague, it is our goal. For us, it is not important if we will accomplish it in EuroCup or in Spanish league. And we’ll see what God prepared for us”, said Dubljević who was the only player familiar with the atmosphere in Pionir. 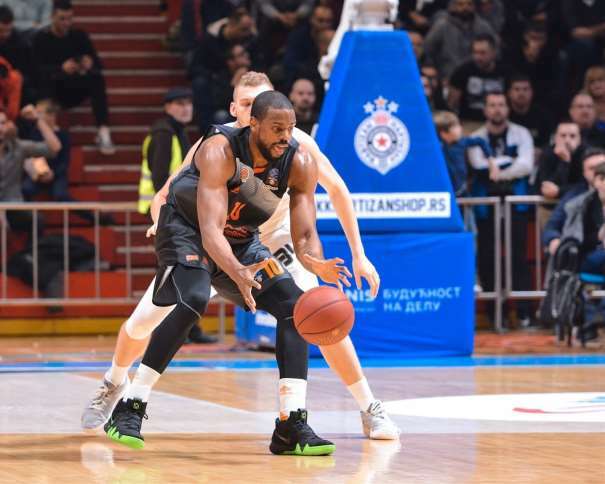 “Before this game, I told my teammates about atmosphere here in Pionir and how hard is to win here. They figure it out when Partizan players entered the court. And they were amazed by the atmosphere. For us, this was an important win, not just because amazing atmosphere but also because we played the catastrophic match in ACB League this weekend”, Dubljević mentioned the game against Tenerife where his team lost 100 – 66. “I am really sorry Partizan lost because they now have less chance to pass the group, but that is life. I wish them all the best”, said Dubljević who will probably play for Montenegro during the brake from club competitions.